The Newburyport Ten Plein Air group of painters has been a wonderful part of my painting for many years now. I remember my first day when I went down the dirt road through a small stretch of woods to see for the first time the expansive Nelson Island marsh. On the left painting water colors in her car was Joan Hancock and on the right was Dan Shaw at his French easel next to Dan was Bud Smith (ie. Jacob Towle). Back a way toward the woods was Bob Gertz (Bob is now sadly deceased but his family is showing his paintings at the Newburyport Art Association) with a large piece of watercolor paper on a board with an amazing painting start. At the time they were all strangers to me, but not for long. They made me feel welcome and from then on they showed me how to plein air paint and what I needed to have with me to fight the bugs, protect myself from the sun, capture the light, compose the scene and choose the colors. 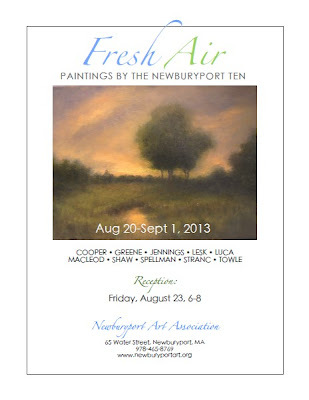 August 20, 2013 is the opening day of the Newburyport Ten Plein Air Painters annual show at the Newburyport Art Association The show will be open through September 1, 2013. 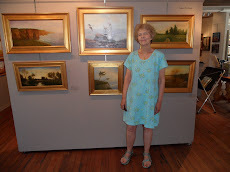 The reception is Friday evening August 23, 2013 6-8 PM. 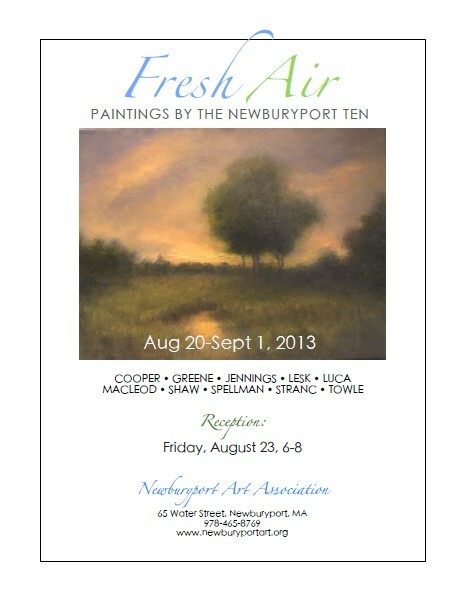 Hope you will be able to visit this show and enjoy the variety of paintings done by myelf and my friends from the Newburyport Ten group. 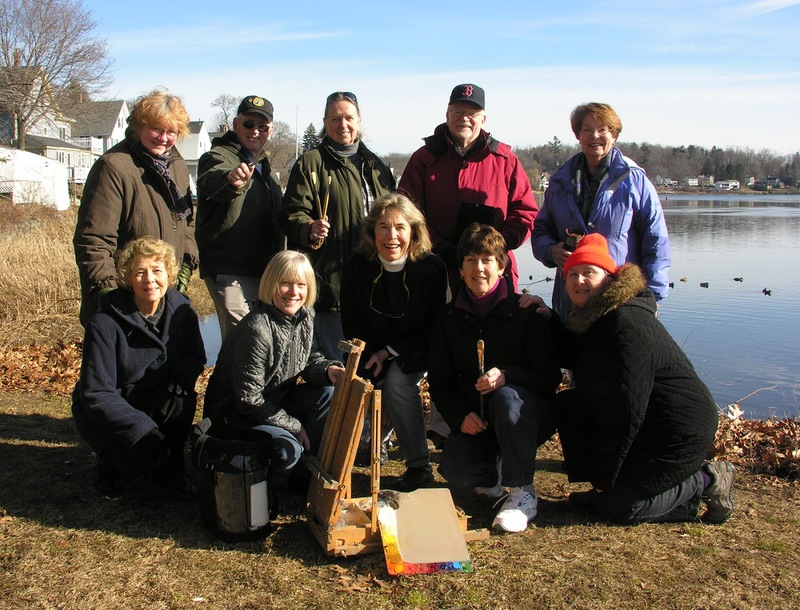 Here is the group of friendly, adventuresome and a little silly dedicated painters. ABack row: Margery Jennings, Bud Smith, Janet Macleod, Dan Shaw, Dale Greene.Front row: Susan Luca, Susan Spellman, Marjet Lesk, Cynthia Cooper, Susan Stranc. Missing from the above photo is Janet Sutherland. Oh, here she is painting at Plum Island Point.